The term PES FullControl describes several new and improved features that give you even more control about the players and the ball in PES 2013. 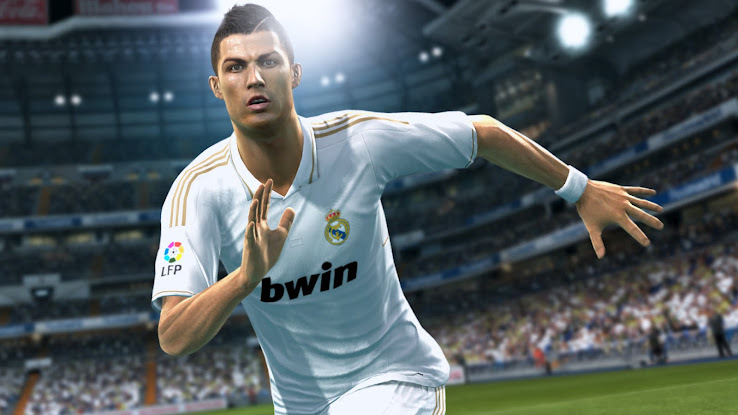 Pro Evolution Soccer introduced the concept of freedom of movement, the new ‘PES FC’ in PES 2013 goes further with total freedom over ball control. PES 2013 introduces subtle ways to receive the ball, from traps, gently lifting it past an attacker to run on to or a variety of other moves. First touch is everything and players can trap the ball using the R2 button, killing the speed of a well-hit pass and bringing it instantly under control, or using the momentum of the pass to turn a defender. 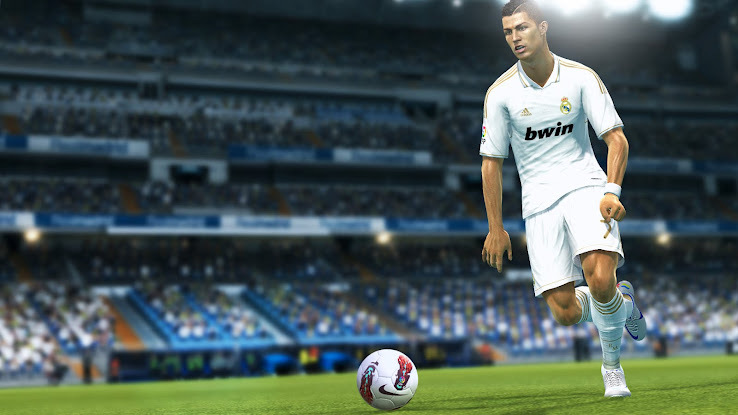 PES 2013 offers fully manual passing and for the first time ever manual shooting, allowing users to determine the height and power of each. Long low passes can be sent skimming across the pitch, while shooting the user has total control over where the shot is placed. Skill and precision are needed to master these, but passes can be made into open areas, allowing lone strikers to thrive, while offering an unrivalled variety in ways to score. The speed with which a player moves with the ball has been slowed in line with real matches, but using R2 allows players to add various styles to their close control. Players can vary the speed of their dribbling, and cushion the ball as they move freely within a 360-degree circle. The new system allows players to knock a ball past a player and collect it, nutmeg them, or hold up play by shielding the ball as team mates find space and make runs. Active one-two passes can be made, with the second player being moved in any direction), facilitating various tactical movements. Countering the attacking options the new dribbling system offers, is a beautifully-balanced defence system. Players can use R2 and X to slow an attack, with a double-tap of the X button prompting a perfectly-timed challenge. Full 360-degree control means that players can check runs and steal the ball from a parallel position, while the individuality element will see world renowned defenders using aerial dominance of physicality to win the ball. Even the game’s ‘keepers benefit from more control, while their distribution is more precise thanks to the addition of a power gauge when they throw the ball, creating opportunities for new, quicker counter attacks. The very best players in PES 2013 will be instantly recognisable via incredible likeness and signature attributes, skills and tricks that bring them to life. The way they run, turn, trap and move the ball, shape to shoot and even celebrate will be noticeably different during play. The way they run, turn, trap and move the ball, shape to shoot and even celebrate will be noticeably different during play. The individuality of movement has also been extended to between the posts. Goal keeping has been totally invigorated via new animations and play styles. New varieties of saves and reactions have been added to ensure the game’s ‘keepers are in line with the efforts of real shot stoppers. This level of realism also extends to the game’s top-rated goal keepers, with their moves to close attacks down, fling themselves to tip a shot past the post, and in-goal acrobatics benefiting from all new animations and AI. The development team has worked closely with the PES fan base to eradicate any illogical elements to the way players move and run in PES 2013, with the ‘ProActive AI’ system enhancing the speed and balance resulting in a more realistic game experience. The balance of play has also been enhanced in the play between defences and the front line, with greater organisation as the teams track back or pelt forward, setting a harder to beat defensive line, teams adjusting faster to ball gain or loss, allowing for quicker counters. The development team has worked hard with real keepers to ensure the AI decision process has been vastly improved. Improvements to the goal keepers was voted the key advancement football fans wanted to see in PES 2013, and the team has worked hard with real keepers to ensure the AI decision process has been vastly improved. Keepers now espond with better reactions, clear their lines more effectively and push the ball savely out of play rather than into dangerous areas. The popular myPES application will extend the connectivity and communication between Facebook-using PES fans, while the game’s audio effects are being tied closer to the on-field action to provide the kind of buzz seen at top-tier matches, with crowds growing in excitement as their team starts to exert pressure. You can watch the official debut trailer here.